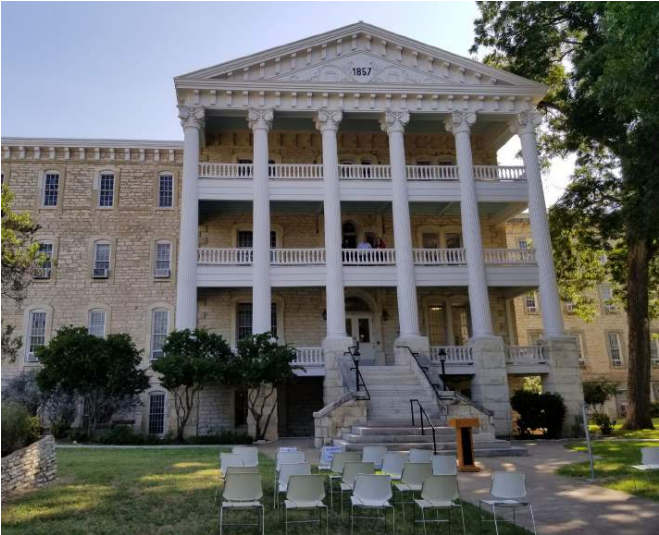 While Friends of Hyde Park supports and acknowledges that the Austin State Hospital is in desperate need of renovations and repair, the recently released $283 million master plan for a redesign of the 95 acre campus is inadequate. The redesign has been a signature achievement that Texas State Senator Kirk Watson’s (D-Austin) has been working towards, but it falls short of a good use for the property. The campus should have a walkable urban design that’s integrated into the surrounding communities because of its central location and because it’s located in one of the best locations for transit outside of downtown itself. While the design successfully includes completing the street grid on 44th St and 43rd St, the design fails to better incorporate 40th St, 41st St, and 42nd St and so fails to plan for the best possible future transportation infrastructure. The overall campus design appears to be designed for a suburban location or similar to campus designs common 30 years ago with low rise buildings, inefficient surface parking, and little to no usable amenities outside of the single use of healthcare services. The same health services planned for in the design could be easily included while also incorporating other uses such as additional housing, affordable housing, housing for the homeless, and walkable amenities that patients, their families, and residents of the surrounding neighborhoods could also use. Through private funds or through a public-private partnership, mixed use housing could be added along the major corridors (Guadalupe St, Lamar St, and 45th St) that would provide amenities on the first floor and affordable housing above. The surface parking in the design could also be consolidated into parking garages leaving more space for other uses. Since there are no height restrictions at this location, more stories could be added to the buildings surrounding the hospital for additional uses and to leave more land open for green space. These or other similar changes could bring in millions of dollars through leasing parts of the property that could be used to improve health services. The Gables Central Park apartments and Central Market shopping center are examples of this as they are built on leased former Austin State Hospital land. A public-private partnership would also bring in millions of dollars in property taxes to the city and state that would have otherwise not have been collected if the property remains largely an untaxed state owned property. Friends of Hyde Park passed a resolution in 2016 to support and encourage the development of the Austin State Hospital site as long as health services remained on site, housing such as “missing middle” housing and vertical mixed use buildings were included, there was affordable housing included, the ASH Administration Building was preserved, green space was included, the development encouraged walkability in its design with a pedestrian/cycle focus, there was connectivity between Hyde Park and Rosedale, and there was a focus on providing a healthy connected street grid to help with traffic and improve safety. The current redesign falls short of these goals.